What Is Bitcoin's Symbol XBT or BTC? What Is Bitcoin’s Symbol XBT or BTC? Spoiler: Not to get confused as XBT is the symbol of Bitcoin only, but BTC too is !! But in this case, the whole story of Bitcoin currency code is important and not only the spoiler. That’s why here at TheMoneyMongers we do everything to tell you about the soundest money anyone has seen so far, i.e., Bitcoin. So, why two symbols for the same currency ‘Bitcoin’? Well, we need to understand that Bitcoin is open source and decentralized making it non-sovereign money. Meaning, it is not backed or produced by any particular country. That’s why no nationality is attached to it, and hence there is no particular standard to decide what symbol should be used for Bitcoin. And one of these challenges is, how to name it? It is like the case of a popular dish which known by a name ‘X’ in a particular country, but in another country, it is named as ‘Y.’ Of course, the happens naturally because of the difference in languages as well as due to the absence of a standard process to name a certain thing. But Bitcoin is not a food item or dish !! Of course, it is not but is something which very commonly accessible everywhere just like water or wheat, and that’s why different people call it by different names. Even interestingly, Satoshi Nakamoto himself didn’t give any symbol to Bitcoin, and he only used the word Bitcoin twice in his whitepaper too because he understood that it’s not the name or symbol that is important but the concept. I also believe that he did this purposely so that Bitcoin can be a truly decentralized currency over which nobody even has the right to name or label it. Anyways, but as of now, Bitcoin is denoted as BTC & XBT both in the market. XBT vs. BTC: What Is XBT? BTC is the acronym for Bitcoin which naturally got picked up by the community. 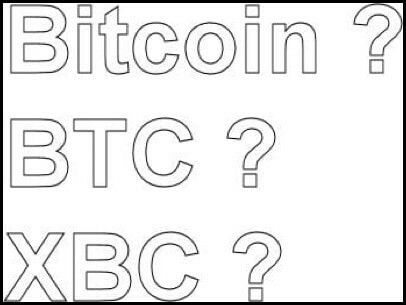 Initially, it was BC, but later when Bitcoin exchanges started popping up the term BTC became quite popular, and untill now BTC is the predominately used abbreviations since the early days of Bitcoin. But some market players also use the term XBT. So let us see why? In 2013 Bloomberg terminal started using the symbol XBT for Bitcoin and it from then on it started to come into use. And that’s a legitimate abbreviation too. Legitimate, because the earlier symbol BTC goes against the International Standards Organization (ISO) and violates ISO 4217 as it goes against the name of Bhutan’s currency. Now, you must be thinking from where Bhutan came to the picture? Well, according to ISO 4217 which maintains a list of internationally recognized currencies, the first two characters of the ISO acronym should start with the country code, and the 3rd character should be the first letter of the currency itself. And when we go about to name Bitcoin (BTC) in this fashion, its name collides with BTN -Bhutan’s currency which is (Bhutanese Ngultrum). That’s the reason behind XBT term started catching up. Is XBT the same as BTC? Yes, XBT or BTC is the same thing, i.e., BTC. The only reason for the confusion is because some exchanges are using the term XBT while the majority of them are using BTC because that’s more popular. Also, some get confused between XBT and XRP so for those let me clarify that these both are different cryptocurrencies. XRP denotes Ripple whereas XBT denotes Bitcoin. So don’t get confused or scammed due to the nomenclature. 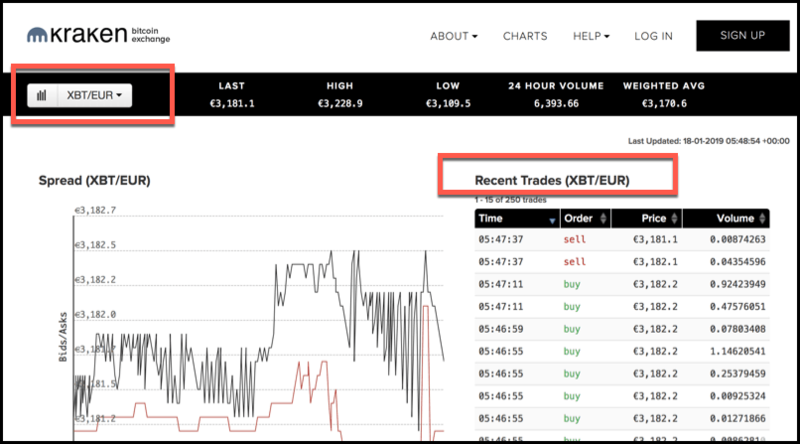 XBT crypto again is Bitcoin only, and it is just that some of the exchanges use XBT instead of BTC. However, XBT is not an official ISO symbol, but some of the exchanges are still using it. What Do You Like More, BTC or XBT? If you ask me which acronym of Bitcoin I like more? I would say definitely, BTC because that sounds more relatable to Bitcoin and it is being used predominately also despite XBT’s introduction. After all, BTC sounds better, looks better and even tastes better !! But I also like this confusion of nomenclature because this shows the power of Bitcoin that there is absolutely no one controlling it. However, I don’t mean that I don’t want a standard nomenclature for it, but so far the acronym BTC seems to be winning all the battles unconcerned of any ISO’s permission. So that’s all from us in the article on ‘What is XBT?’ We hope that we have enlightened you a bit on Bitcoin’s naming conventions. 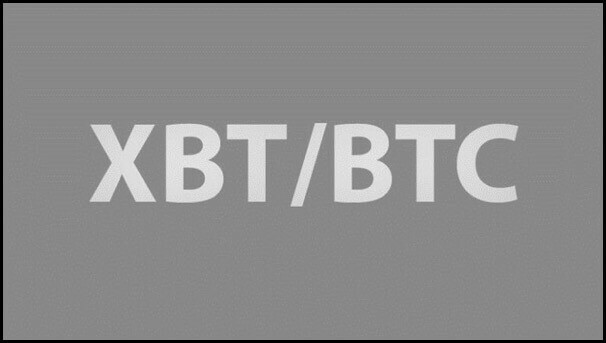 Now you tell us: Which name do you like, BTC or XBT? Let us hear your thoughts in the comments below. If you liked this article? DO share it with your friend & help them too, know about Bitcoin’s symbols?